Ray DeGiorgio is one of 15 GM employees who lost their jobs in the wake of last year's ignition-switch scandal. Former General Motors engineer Ray DeGiorgio will be deposed in June in the class-action filed by consumers against the automaker over the faulty ignition switches now linked to 107 deaths, Texas lawyer Bob Hilliard’s office confirmed today. Lawyers with Hilliard’s firm will question DeGiorgio in Detroit on June 18 and June 19. DeGiorgio could not be reached for comment. He is one of 15 GM employees who lost their jobs after the automaker waited more than a decade to recall about 2.6 million vehicles with defective ignition switches, which can be jostled out of the “run” position by a knee or a heavy keychain, cutting power to the engine. A GM spokesperson was not immediately available for comment. The Wall Street Journal reported the story earlier today. 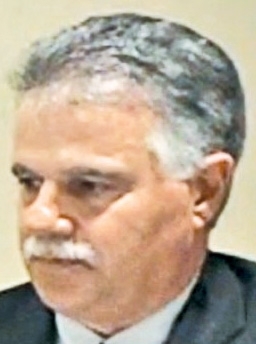 DeGiorgio has been one of the central figures in GM’s ignition-switch troubles after he was discussed at length in former U.S. Attorney Anton Valukas’ report on the crisis last summer. DeGiorgio approved putting the defective ignition switch into production, despite it falling short of the automaker’s performance standards. He later quietly approved a design change, according to Valukas’ report. DeGiorgio is one of 96 current and ex-employees Hilliard’s office has involved in the class-action, including former CEOs Rick Wagoner and Dan Akerson and current CEO Mary Barra. Depositions have not yet been scheduled for Wagoner or Akerson, Hilliard’s office wrote in an email today. Barra’s deposition is scheduled for Oct. 8. GM has set up a victims compensation fund, headed by lawyer Kenneth Feinberg. Through Friday, Feinberg’s office has approved 107 death claims and 199 injury claims linked to the faulty ignition switches.